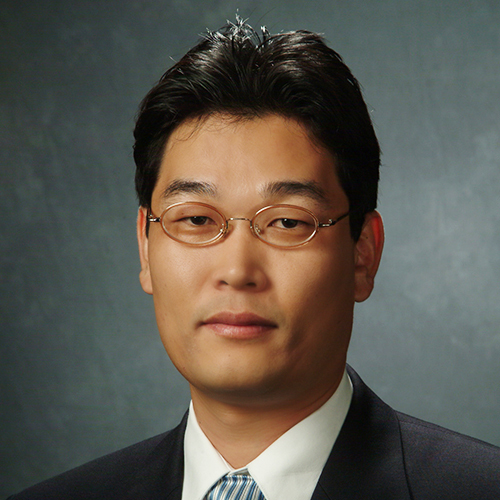 Chang S. Nam is a Professor of Industrial and Systems Engineering at North Carolina State University. He is also an associated faculty in the UNC/NCSU Joint Department of Biomedical Engineering as well as Department of Psychology. Previously he was an Assistant Professor and an Associate Professor at the University of Arkansas. He has received the NSF CAREER Award (2010), Outstanding Researcher Award (2010-2011), and Best Teacher Award (2010-2011). He is a recipient of the US Air Force Summer Faculty Fellowship Program (AFSFFP) Award in 2018. Dr. Nam teaches and conducts basic and applied research in human factors and ergonomics engineering to advance the science of Human-Computer Interaction (HCI) with a broad perspective on the application of systems and information engineering to human-centered technologies, including brain-computer interfaces and rehabilitation engineering. His research has been supported by the National Science Foundation (NSF), Air Force Research Laboratory (AFRL), Air Force Office of Scientific Research (AFOSR), and the Laboratory for Analytic Sciences (LAS), UNC/NCSU Rehabilitation Engineering Center (REC). He is the main editor (with Drs. Nijholt and Lotte) of “Brain-Computer Interfaces Handbook: Technological and Theoretical Advances,” published by CRC Press. Currently, Nam serves as the Editor-in-Chief of the journal Brain-Computer Interfaces. For more details, refer to Brain-Computer Interface (BCI) Lab. Brain-computer interface and neurorehabilitation, haptic-user interaction, neuroergonomics, and adaptive and intelligent human-computer interaction. Rhiu, I., Bahn, S., Nam, C. S., & Yun, M. H. (2018), Human Factors and Ergonomics in Manufacturing, 28(2), 56–68. Nam, C. S., Nijholt, A., & Lotte, F. (2018). , . Boca Raton, FL: CRC Press, Taylor & Francis Group. Liu, S. J., Nam, C. S., & Fitts, E. P. (2018), Computers in Human Behavior, 84, 130–140. Kim, N. Y., Wittenberg, E., & Nam, C. S. (2017), Frontiers in Neuroscience, 11. Lee, J. Y., Lindquist, K. A., & Nam, C. S. (2017), Frontiers in Human Neuroscience, 11, 1–18. Wittenberg, E., Thompson, J., Nam, C. S., & Franz, J. R. (2017), Frontiers in Human Neuroscience. Griffin, J. A., Zhu, W. H., & Nam, C. S. (2017), IEEE Transactions on Haptics, 10(1), 94–105.